The news from Israel Tuesday was that the finance minister had waived all building permit and rezoning requirements so as to allow the U.S. State Department to ramp up construction on a consular building in South Jerusalem that is to become the new U.S. Embassy, perhaps as early as May. 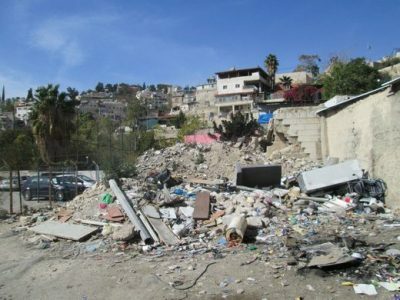 The house was demolished on grounds of lacking an Israeli-issued building permit. The building-permit process is an administrative figleaf for unequal treatment; and worse, the process is an instrument that is used by the state to stifle Palestinian life, economy and culture. This is not the “rule of law,” which means that the law is applied evenly to everyone. Because the law is always applied differently when it comes to Palestinians. Though if you’re in the right group you get rubber-stamped, because you’re in the “strategic” interest of the state. So the good news for the special relationship between Israel and the U.S. illuminates something else: the bureaucracy of apartheid.